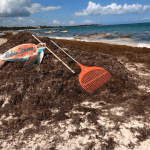 When our beautiful shorelines are suffering the stink, fear not, there are plenty of activities to do when there is seaweed on the beach in Playa del Carmen. If you have just booked your vacation or are due to arrive here in the near future, I get it, that’s the last thing you want to hear. 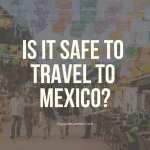 However, here at PlayaDelCarmen.Com, we are committed to bringing you honest and useful advice. You can still have an unforgettable vacation (for all the right reasons). 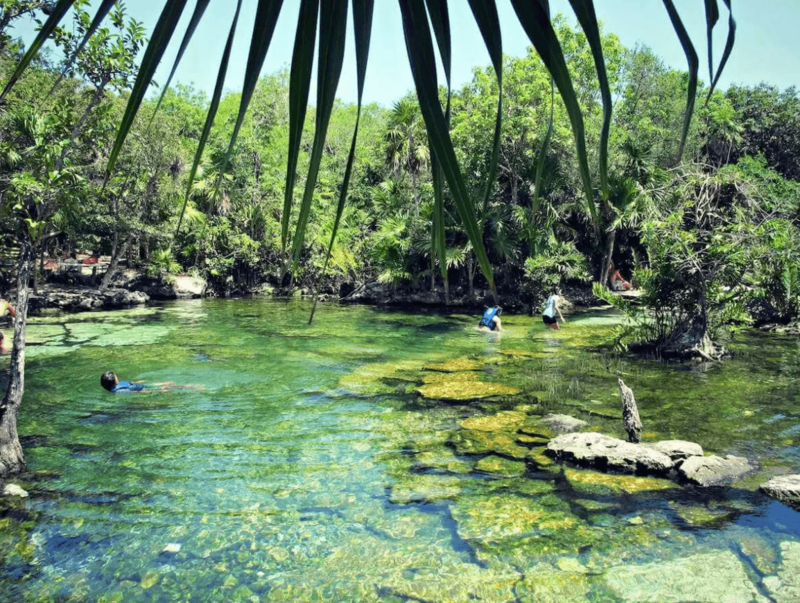 Here in the Riviera Maya, there are an abundance of activities and different ecosystems for you to enjoy! 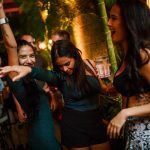 Once you’ve learned of the stunning cenotes (unique to this area of the world), the array of epic rooftop pools, and the endless tours and activities to do when there is seaweed on the beach, its presence will quickly become a distant memory. 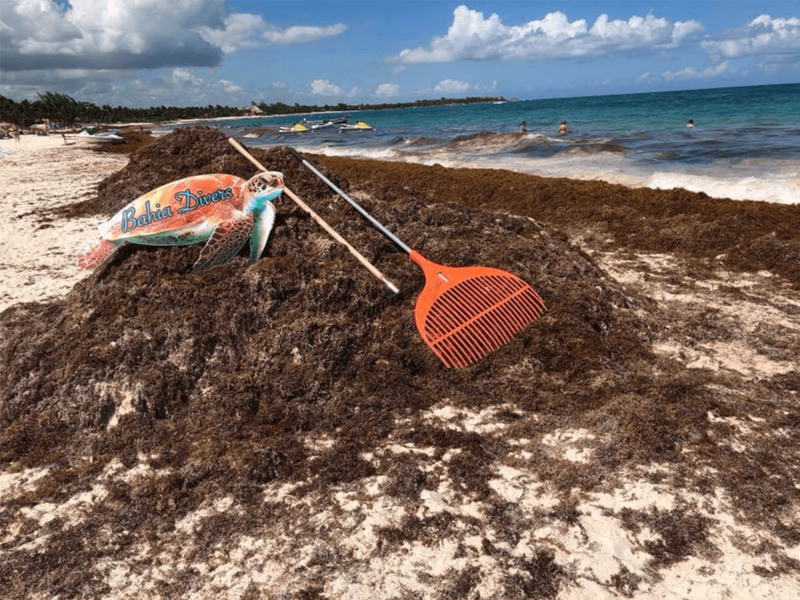 Mother nature is an undeniable force, and unfortunately, despite our best cleanup efforts the amount of seaweed she brings to the shores is totally out of our control. 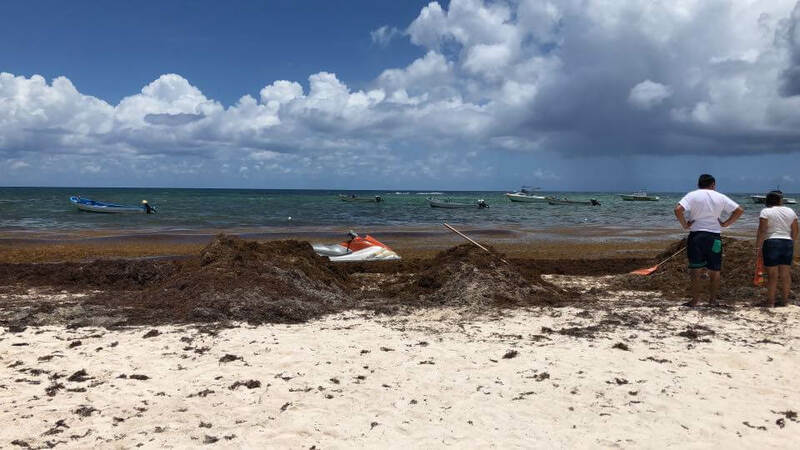 For more information on how to check the current seaweed situation, and to keep up to date with future forecasts read our blog “everything you need to know about Seaweed in Playa del Carmen“. 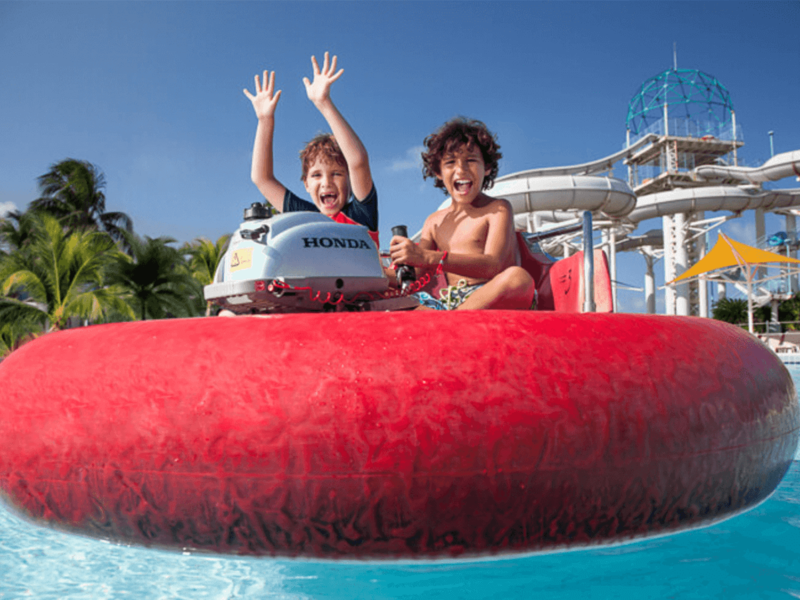 Tropical vacations have become synonymous with water activities. You’ll be pleased to know that even when seaweed is apparent on some of the beaches we can still guarantee you your fair share of splashing around in cool crystal clear waters. 1. Visit Cozumel or Isla Mujeres. 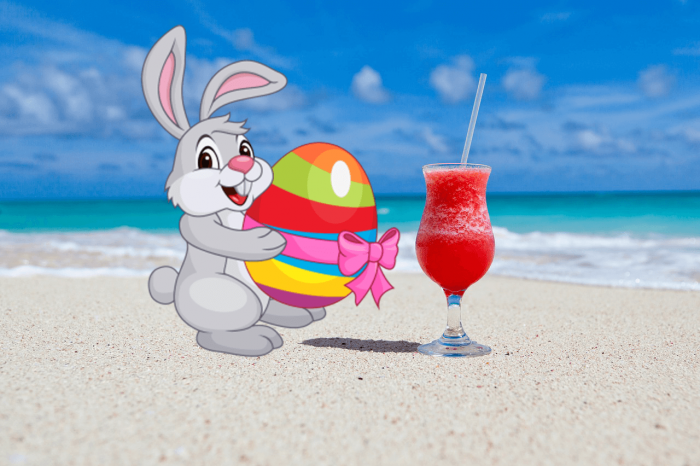 You had your heart set on the beach, we get it! You’re in Mexico, and you want to top up your tan. 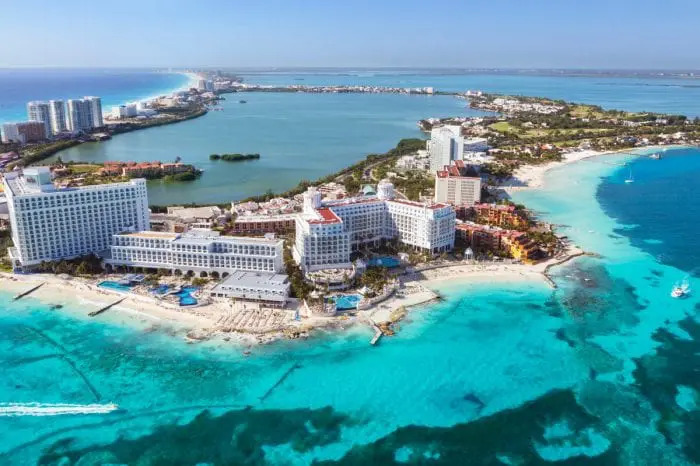 What if we told you despite the state of the current seaweed situation in Playa del Carmen you could still enjoy sublime powdery white sands, and transparent turquoise water? 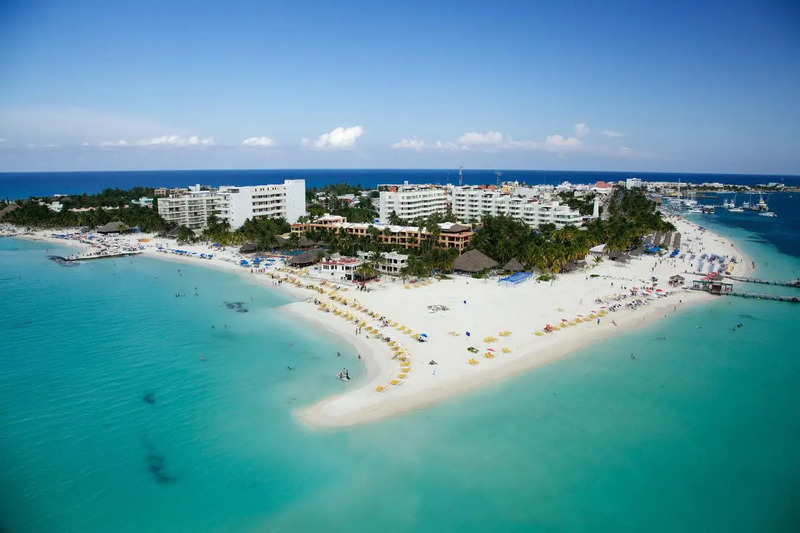 The same applies for Isla Mujeres, Playa Norte is a gorgeous beach on the island that tends to avoid the masses of seaweed that arrive on the shores of Mexico. Islands are a great way to plunge yourself into the true rhythm of the tropics. In my experience, time seems to slow down the minute you take a step off the boat. You can’t help but feel a sense of adventure when you jet off from the busy mainland and retreat to a beautiful island encapsulated by the color blue. 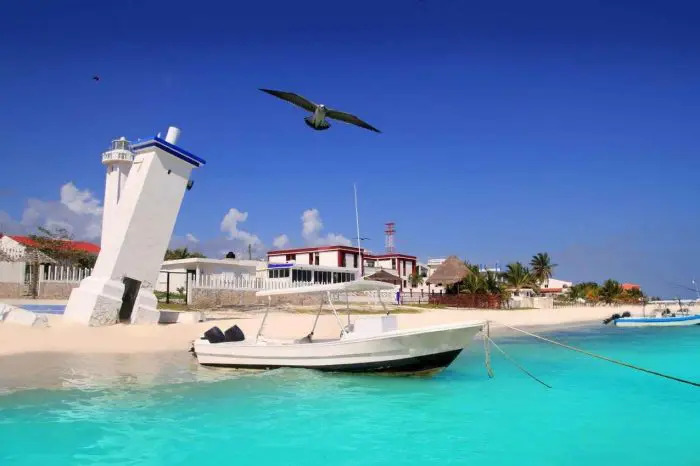 You can also take a day trip to Isla Mujeres or quite easily arrange for a Cancun catamaran to Isla Mujeres. It’s never been easier to access the island of Cozumel from Playa del Carmen. The ferries operate hourly from the pier in downtown Playa just footsteps from 5th Avenue. 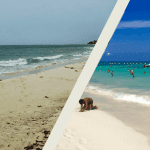 The first one being at 6.45 am and the last one at 11.00 pm, check the Cozumel / Playa del Carmen ferry schedule here. The crossing takes around 45 minutes. Adults pay just $10 and the child’s price is $6. See our top recommendations for the best things to do in Cozumel before you arrive. You may also find our 1-day guide useful, we’ve provided you with a blueprint itinerary and all the information you could ever need to maximize your time on this slice of paradise. 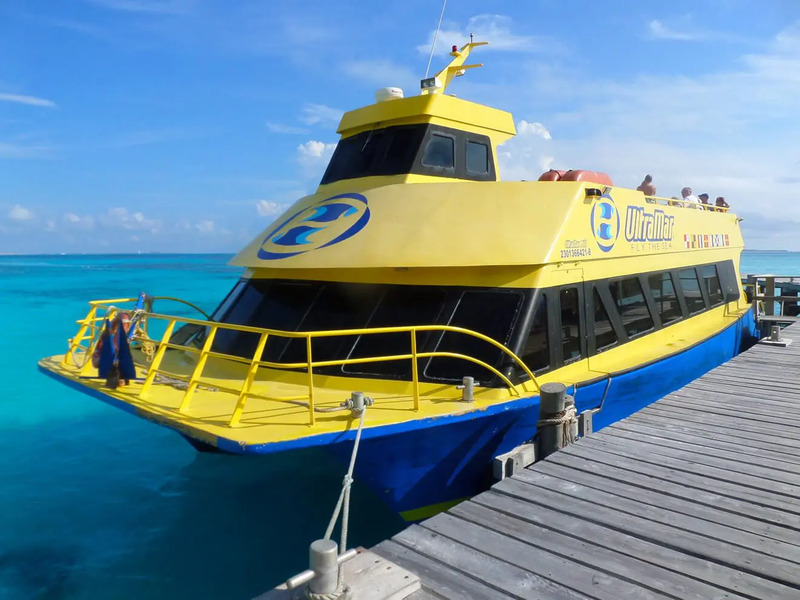 The only way to get to Isla Mujeres is to catch the ferry from Cancun. 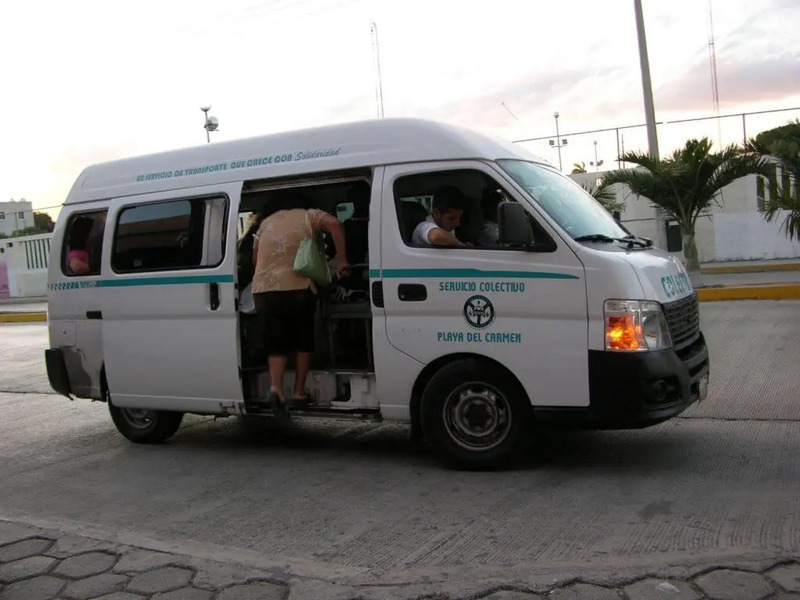 You can get to Cancun from Playa easily using either the ADO bus service or if you really want to get down with the locals take a Collectivo (pictured below, they are cheaper but not always air-conditioned). Once you’ve arrived on Isla Mujeres be sure to use our 1-day itinerary to discover some of the island’s little-known gems. 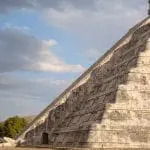 When coming to Mexico, we realize just how easy it is for travelers to become totally and utterly mesmerized by the stunning all-inclusive hotels that dominate the powdery white beaches, however, there is also another lush side of paradise that often goes unnoticed. The thick, tropical, greenery that colors this beautiful country houses many secrets and sights we simply can’t let you miss out on. 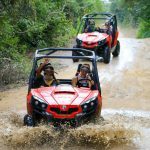 Our Jungle Buggy Adventure tour offers you the chance to witness the REAL Mexico. 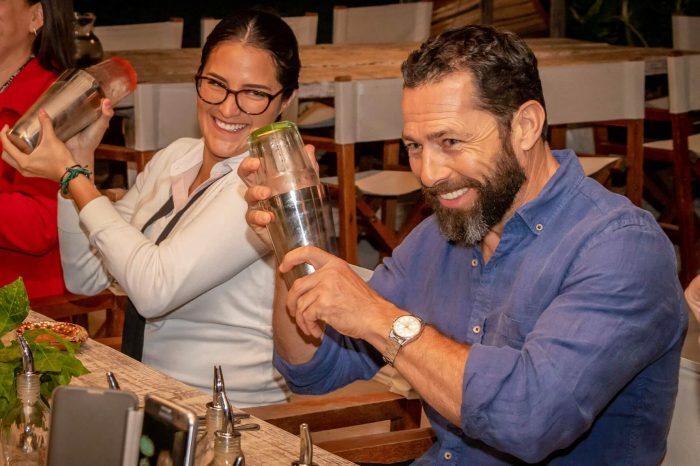 The tour is a half-day broken down into three different parts, and it offers the perfect blend of adventure, discovery, and a chance to do some good in the world. 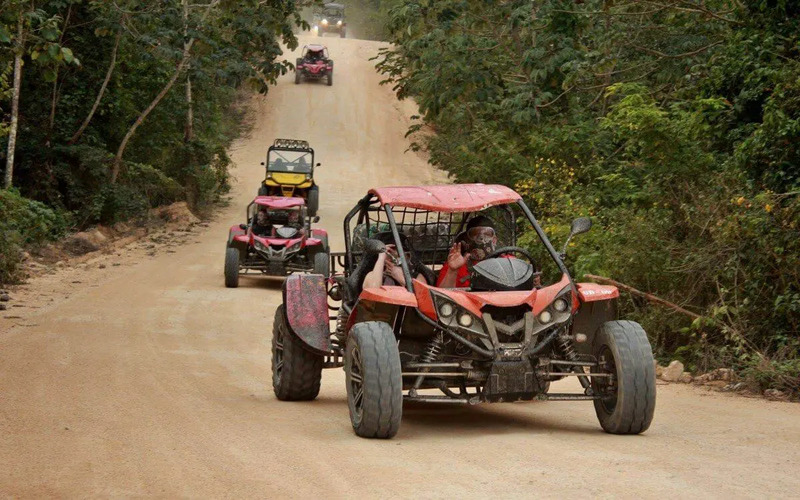 First off, you get to race your way through the Mayan Jungle as you drive your own buggy around thrilling trails. Perfect for petrol heads. It’s guaranteed to fill you with just the right amount of adrenaline. Secondly, marvel at the incredible wonders of Mexican cenote. This particular underwater cavern is a place of magic and mystery considered a sacred place by Mayans. Lastly, open your eyes up to a whole new side of Mexico. 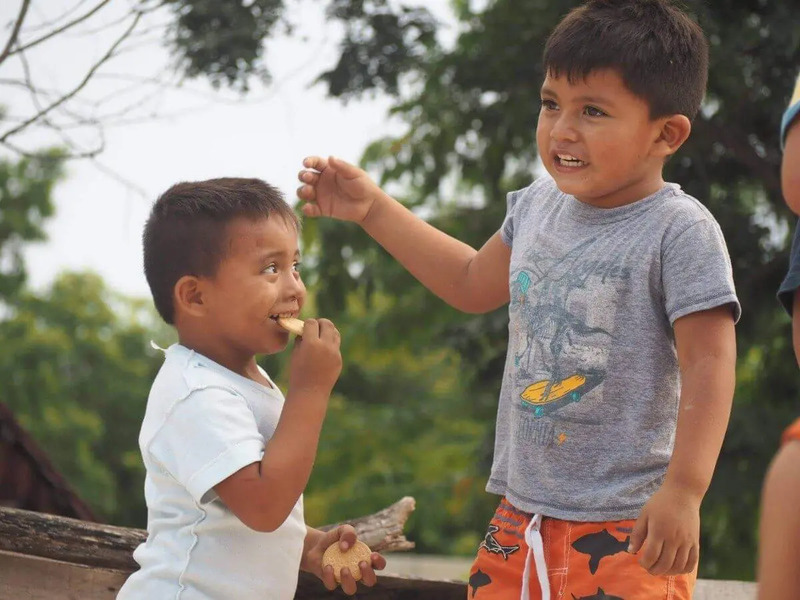 Get involved with a local community and provide food to an impoverished neighborhood. A very eye-opening experience. Even long after you return home and your trip has ended, I can guarantee you’ll never forget the look on their faces. You won’t forget them, and they certainly won’t forget you. 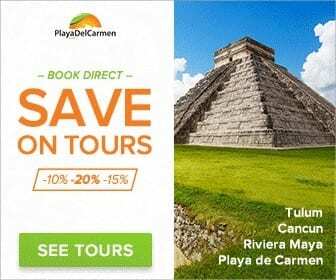 We offer a 10% discount on this tour here at PlayaDelCarmen.Com so be sure to inquire with one of our agents today. On any vacation, you should always try to squeeze some adrenaline-fuelled activities into your itinerary. Life is all about pushing your limits, developing courage, and enjoying the moment. Activities that involve adrenaline provide you with memories that last a lifetime and can be particularly enjoyed when traveling as a group. The Mayan jungle is just one of the many activities to do when there is seaweed on the beach. TripAdvisor voted Selvatica its number 1 outdoor activity! At this attraction, you can zip line, swim in a cenote, race on Polaris ATVs, and more! The park is probably most celebrated for its diverse range of zip lines. Superflight – fly like a superhero head first through the jungle. Upside Down – fly upside down through the air for an even more thrilling experience. 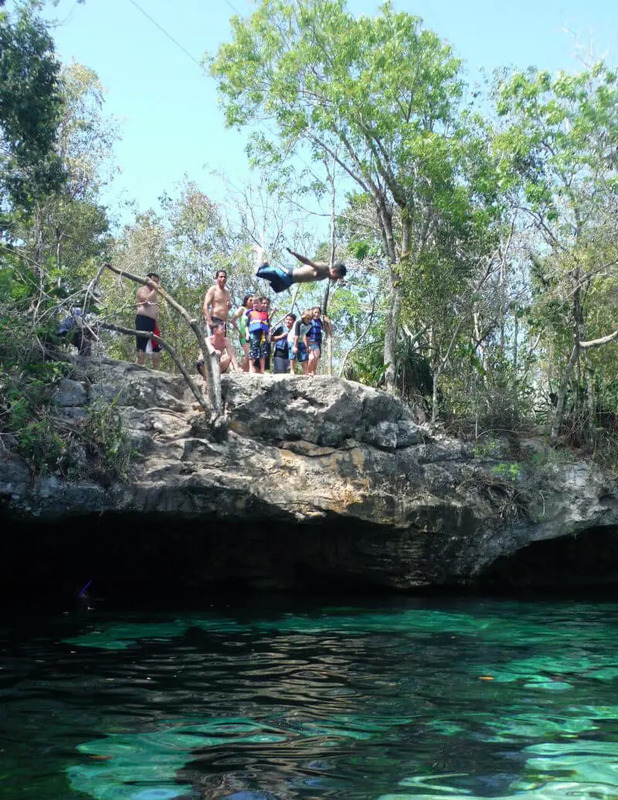 Cenote Splash – make a splash as you enter the cenote from the air. Selvatica offers a range of different half-day and full-day tours so depending on your time schedule and your budget rest assured, there is something for everyone. 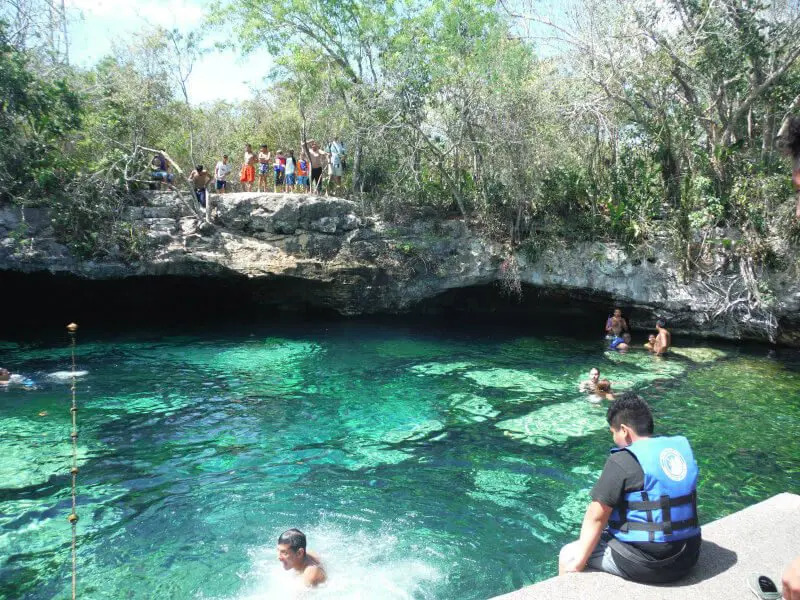 If you’ve never heard of a cenote it’s pronounced seh-no-tay and is essentially a freshwater swimming area. Highly regarded by the ancient Maya as the portal to the Netherworld, cenotes are visually spectacular sites (unique to this area of the world) that should be on everyone’s bucket list! The reason Mayan empires reigned so supreme in the Yucatán is they relied on cenotes as their primary water source. They are the heart and soul of the jungle, and in my experience, nothing quite prepares you for the real thing. There are 4 different kinds of cenotes, open (like this one), semi-open, cavernous, and ancient. Made of limestone often featuring impressive stalactites and stalagmites the freshwater is filtered so perfectly it feels holistic to the skin. Cenote Azul is just a ten-minute drive from downtown Playa in a taxi and costs roughly 200 pesos ($16), or you can take a local Collectivo. This particular cenote is quite large and has several different areas with various depths. The shallow parts are perfect for families or people who just want to sit and relax in the water, and there are deep areas where you can dive in from a height. If you are not a strong swimmer you can bring a lifejacket or rent one on site for a minimal fee. Our top tip would be to bring snacks and drinks as there isn’t always much to buy once you get there. All you have to do is pay the entrance fee at the door. Cenote Azul is right next to Cristalino, Kantunchi, and Jardin of Eden. Entrance fees start at about $7-8 per adult at the Azul and Cristalino up to about $30 at the Kantunchi. 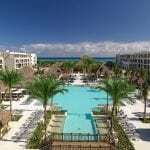 If you are staying at the Barcelo Hotels (Barcelo Maya Beach, Palace, Colonial, Caribe, Tropical) you can actually just cross the highway (VERY carefully!) and walk over to any of them. See Cenote Azul on a map. We book our fair share of Xel-Ha tours at 10% off here at PlayaDelCarmen.com. 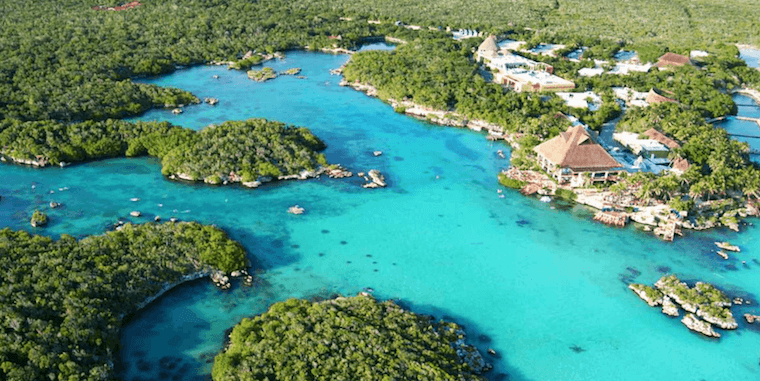 Xel-Ha is a HUGE eco theme park/ nature reserve nestled in a quaint cove. The attraction boasts an array of wonderful activities suitable for all ages. Why not grab an inner tube and float your way around the lazy river marveling at wildlife and mangroves along the way. Witness where a freshwater cenote meets the warmer seawater. Snorkel amongst a wide variety of tropical fish. If you are feeling adventurous, you can even do some zip lining, or jump from the cliff of courage. Before lazing in a hammock to get your zen on. 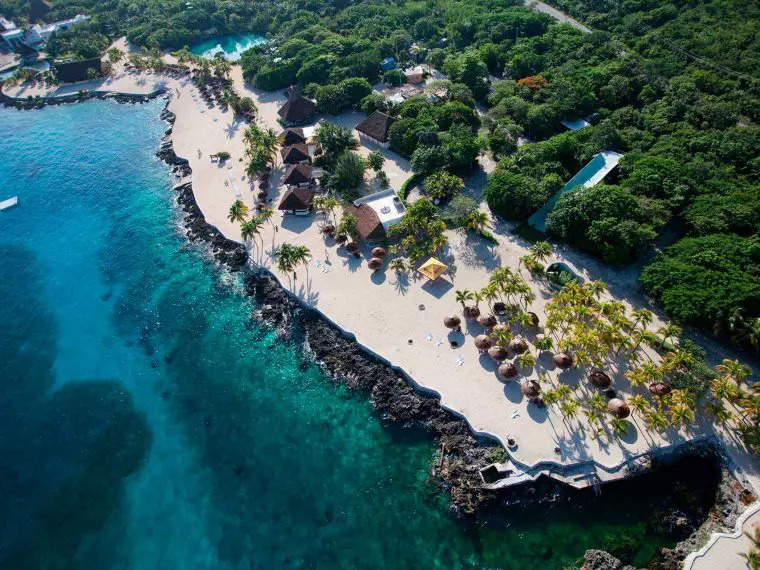 Read everything you need to know about Xel-Ha here. 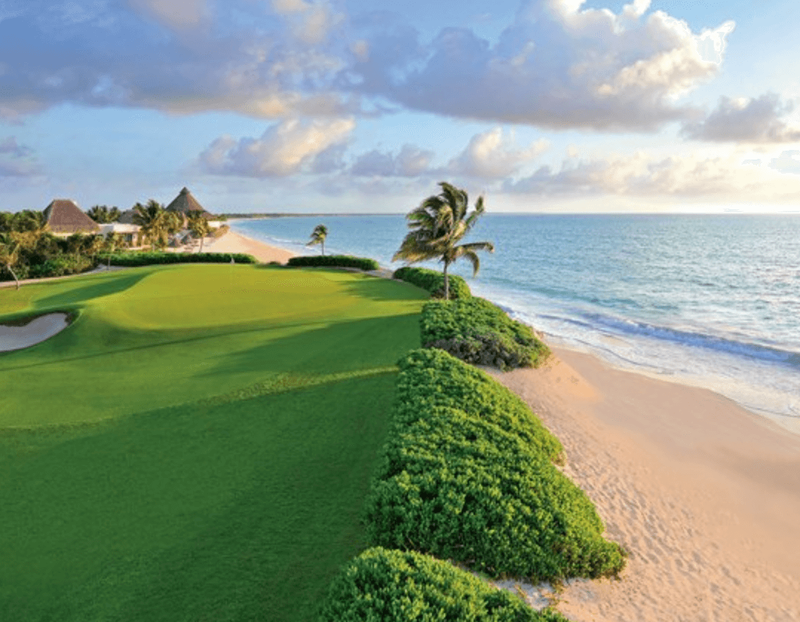 You will be pleased to know that Playa del Carmen and the Riviera Maya as a whole is home to some of the best-designed golf courses this side of the globe. In fact, right here in Playa del Carmen, you will find the only official PGA course outside the USA and Canada! While the beaches focus on returning to their former glory why not pass some time with a little healthy competition. All of the courses offer stunning backdrops such as lush jungle, wildlife, and magical waterways. You’re guaranteed the great weather, impeccable service, and no seaweed! Many hotels have their own golf courses, but even if you haven’t chosen to stay there some will let you use their services for a charge. For more information read our ultimate guide to golfing vacations. Perhaps the staple of our community here in Playa del Carmen is 5th Avenue and the streets that surround it. This 5-mile strip that runs in a straight line is a place dedicated to all of your touristic needs. You will find everything from bars, clubs, clothing/souvenir/ cigar stores, restaurants, museums and more! Why not take a leisurely stroll down and see what all the fuss is about for yourself. It’s likely you will see dancers, artists, and singers showcasing their work. It’s perfect to do some shopping in the day but 5th Avenue really comes to life at night when it is all lit up. Even when our beaches are clear sometimes being covered in sand, fighting your way back to shore, and getting dressed again covered in sand is more hassle than it’s worth. 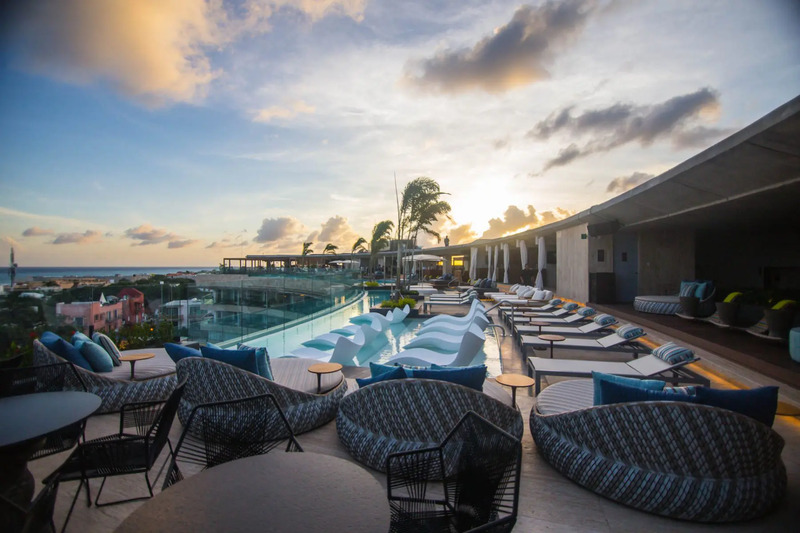 The best news of all is that Playa del Carmen is home to an abundance of funky rooftop pools that offer stunning views of the Caribbean, great food, and even better music! It’s absolutely essential that you witness a sunset from a rooftop during your time here on your next vacation. Whether you’re looking for an eco-friendly vibe, ultramodern space, or party pool, there’s something for you! Not sure where to find your perfect spot? No problem. Here’s our list of the best 5 rooftop pools in Playa del Carmen. 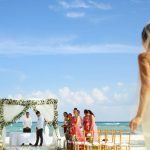 Here at PlayaDelCarmen.Com, we are dedicated to helping you plan the vacation of a lifetime. We can offer local advice, plus help you get the best deals on all of the tour and hotels in the region.